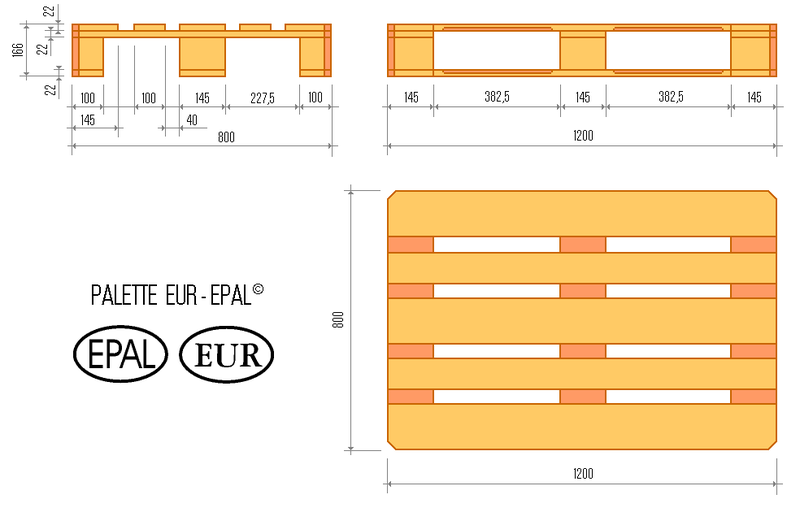 Designation EURO EPAL Pallets out of wood with four entries. Weight Between 22,5 et 27 kg. Upcycled pallets images do not represent a standard view of all pallets. Variations of color and deck board pattern can differ from one pallet to the next due to exposure and original manufacturer.